Here is an insightful, funny post all about New Year’s resolutions by Amy Henry. Enjoy! My inner Sassy Girl is tempted to reply: “I’m giving up pinochle.” Or, “I’m swearing off glyphosate as a salad dressing.” But as most of these folks are friends (let’s face it—who else really cares what’s going on with you? 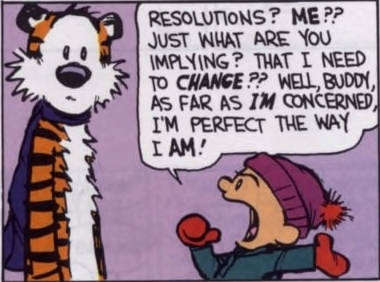 ), I give them the straight truth with a solemn face: I didn’t make any resolutions. I don’t have a plan.